Our mission is to provide nutritious and appealing meals, including special diets, through regular personal contact for those in need to enable healthy independence. Meals on Wheels of Eastern Onondaga County, Inc was established in 1974 under the name Fayetteville-Manlius District Meals on Wheels Inc. 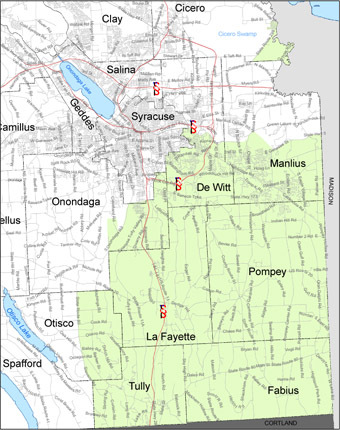 In 1990 we expanded and changed our name to FM-JD Area Meals on Wheels, Inc.
Our area has been recently expanded to include East Syracuse, Minoa and Kirkville.. Hot and cold meals are available for a modest cost and financial assistance is available. Over 150 volunteers keep the program running and we are always looking for more!